When it comes to keeping your worksite safe and your equipment running smoothly, nothing is more important than your heavy equipment tires. Here at Monster Tires, we offer the Fiatallis Motor Grader Tire Size Options you need for whatever model of Fiatallis Motor Grader you have. We have Fiatallis FG85 Motor Grader Tires, Fiatallis FG75 Motor Grader Tires, Fiatallis FG70 Motor Grader Tires, and Fiatallis FG65 Motor Grader Tires for your tire needs. 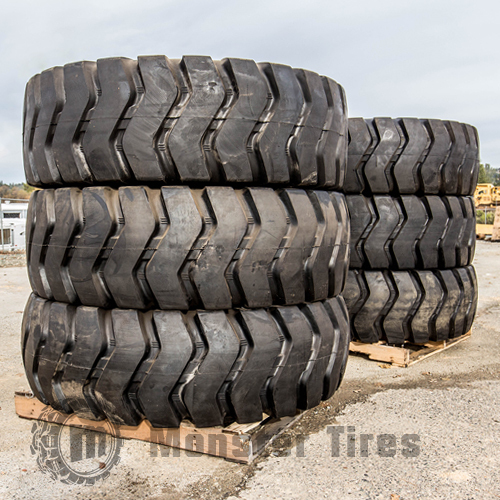 Whether you need a Rear Tire Set for Fiatallis Motor Grader, a Front Tire Set for Fiatallis Motor Grader, or a Set of 4 Tires for Fiatallis Motor Grader, you can find it at Monster Tires! Fiatallis Motor Grader Tires – Affordable and Dependable! Our Heavy Equipment Tires are priced with some of the lowest price tags on the market, but that doesn’t mean we skimp on quality! We provide top quality Heavy Equipment Tires to get your piece of equipment rolling again. We know how important tire quality is for worksite safety. Trust in Monster Tires for your nextset of Fiatallis Motor Grader Tires! We carry the best High Quality OTR Tires for construction companies and home owners.